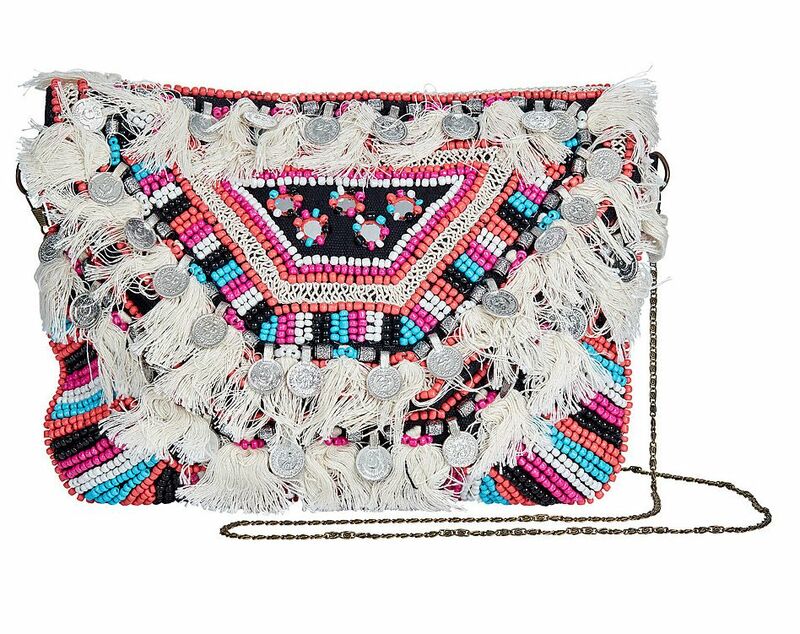 The Marrakech Clutch White, blue, black, pink and orange beading all over with silver accents. Outlined with white fringe. 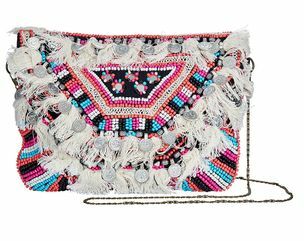 The boho clutch is a striking, ready-to-wear item. Every piece is carefully handcrafted by skilled female artisans in India. The clutch includes some recycled materials within the bag for long wear and sustainability.